The Short Synacthen Stimulation Test took an hour and a half from start to finish including talk time, form signing and the wait time in between blood tests. I was there early hoping that the doctor would be early. He wasn't. I do not know where he is stationed but he was due to arrive at my appointment time. His name was Tim McNamara and he is the doctor associated with phlebotomy at Nambour. I could not talk him into coming to Caloundra hospital. This test cannot be performed by those who usually take our blood who are not doctors. He had to be the one to give the injection but only after the initial blood test was taken by the nurse. He said, she was better at it than he was. I'd believe that. The needle hurt like a B12 shot prolonged. It did not stay sore for long but before that had eased off, I started to feel light-headed, wondered if I was going a bit out of it, but not quite woozy until my tum started feeling nauseous in sympathy with my head sensations. I am sensitive like that now with motion sickness which has never been so bad since I was a car-sick kid until the last few years. I knew I was no good with spinning around waltzing probably 9 years ago but roundabouts are a more recent problem. So too can the sensation I get from the things moving past while using a mobility scooter. It is also one of the possible symptoms of M.E. 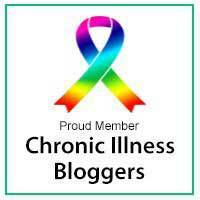 (Myalgic encephalomyelitis) and Lyme disease. Nevertheless I do believe that the injection brought this reaction on. 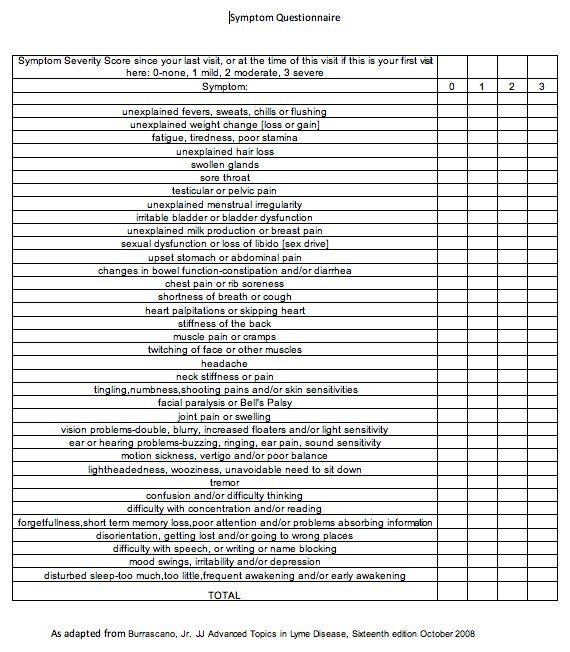 As an aside, you may like to check out the Lyme Symptom Questionnaire used in the article linked to above. The good thing about getting whoozy was that I got to lie down after that. 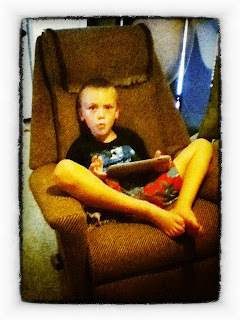 I read a short story on the Kindle called The Scary Chair after the doctor stopped chatting. He was keeping me 'occupied instead of fainting' or assessing my reaction to the needle but I was fine again within about 15 mintues or less in that I no longer felt woozy but I left the place today feeling that internal shakey feeling that I get and maybe you could call it imperceptible tremors. Still got it now. That means I have crashed from today. The flu feeling. Joints were fired up by this afternoon but I had been in air conditioning which is often a culprit. My aircon rarely goes under 26-27 degrees C unless S has had his hands on the control. Anyway, the doctor left and popped back in again later but mainly it was the nurse from here on. She took blood at 30 minutes and 60 minutes post stimulation. I have bruises to show for it - bleeding under the skin. Addison's is very rare so I doubt if I have it and the doctor himself said it was unlikely and he also told me when I suspected he had a bit of an attitude about the frequency of Dr N requesting these tests, that yes indeed he does tend to refer people for this test a bit. Then he jokingly said that they had an "arrangement". Despite its rarity, I am interested in the results because even a mild adrenal insufficiency (assuming it detects such) would be a reason for me to take a low dose of cortisol which has the potential of making me feel a whole lot better until I start worrying about my weight gain (if it is anything like prednisolone). In healthy individuals, the cortisol level should double from a baseline of 20-30 ug/dl within 60 minutes. For example, if the serum cortisol level was 25 ug/dl before the stimulation, it should reach at least 50 ug/dl. The baseline cortisol level in people with adrenal insufficiency is usually near 15 ug/dl. An ACTH stimulation test that raises the cortisol concentration to 20 ug/dl would support the diagnosis of primary adrenal insufficiency. In Addison's disease, baseline cortisol is well below 10 ug/dl and rises no more than 25 percent. ACTH may dramatically stimulate cortisol from the low baseline value encountered in patients suffering from secondary adrenal insufficiency. Stimulation resulting in a greater than 14-fold increase in serum concentration over 30 minutes has been reported, although more typically serum cortisol levels will double or triple from baseline. The lower the baseline cortisol, the more likely it is that the patient's cortisol will increase by a large amount. In some instances, a second test can suggest primary adrenal insufficiency (cortisol value less than doubled). The diagnosis may be changed from secondary to primary adrenal insufficiency or to include primary adrenal insufficiency. In secondary adrenal insufficiency, if the adrenal glands lack ACTH for enough time, cortisol production can atrophy and fail to rise to a value at least double the base cortisol value. It is proper to continue with the diagnosis of secondary adrenal insufficiency. If secondary adrenal insufficiency is diagnosed, the insulin tolerance test (ITT) or the CRH (Corticotropin-releasing hormone) stimulation test can be used to distinguish between a hypothalamic (tertiary) and pituitary (secondary) cause, but is rarely used in clinical practice. Now I will tell you what events prepared me for today. The whole idea of the weekend was to ensure that I had enough energy in reserve for the unavoidable trip to Nambour General Hospital Pathology Department today. It did not happen the way it was supposed to. I told you that Rob came for coffee on Saturday but I did not tell you that S bought Connor back here, telling Connor that he couldn't come at first because Nanoo had screamed at him not to let him come over and that is why they were playing basketball. OK or not, I cannot judge. It seems Connor does not like playing basketball with his Dad - that's what he told me. He told me that he wanted to come and see me but I wonder if he was coached to say that? It was only going to be a couple of hours. It turned into from then until after lunch Sunday. I knew it was zapping energy out of me and I actually sat down a lot . 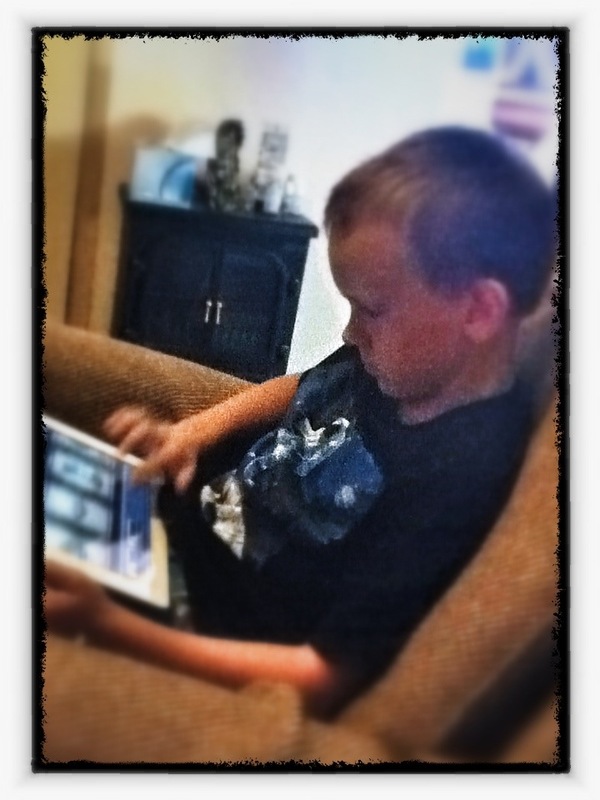 I just sat there and played on the ipad, the exact same game that he was playing.....Dragonvale. We set each other up as neighbours so we could visit each others lands and we sent video messages to each other from different rooms just for fun. Actually I think he sat there longer than me by miles playing on his ipod or doing a switcheroo with my ipad. I guess we both had fun because he did not want to go home and I did not mind doing Ange a favour keeping him longer because there is some trouble dealing with him at home. I wonder why. He is about to be using a different surname for the third time. He's been a Jenkins at the school ever since he started despite his birth name but it will be changed again when Ange marries. It is a bit of a mouthful to remember. Swedish maybe? Apart from anything else the reason Connor was here was because Esha had a cold but no-one was likely to tell me until it was too late. You know how I hate inviting viruses into my house even it if means pushing away people. 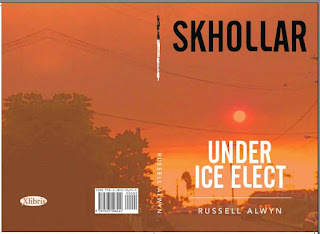 Consequently I was already not firing on all cylinders before I even went to Nambour. I knew S was driving so I relaxed more than I normally would if I had had to do it all myself. He had planned to do a bit of work there but it was pouring with rain and threatening floods everywhere. We saw plenty of water lying around and not too far away from being a problem. It rained and rained but I was dropped off right at the door and got picked up after a warning phone-call at the same place so I did not get wet, wet. Just the splashes. S decided not to get wet either - just a coffee and driving around scouting for signs of potential solar sales. On the way home we called into Forest Glen Organic Foodstore and I picked up some spelt bread which you are allowed to eat on the low FODMAP diet.